Increasing numbers of joint revision and replacement operations drive the demand for improved prostheses. 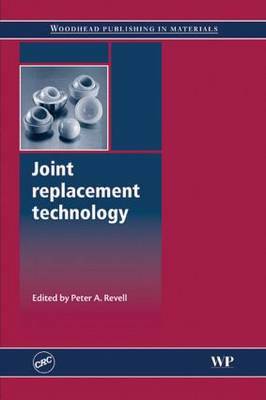 This book reviews developments in joint replacement technology, covering the most pertinent materials science and engineering issues as well as specific joints, clinical trial results and sterilization techniques. It discusses biomechanics, tribology, and the chemical environment of the body. The text surveys materials and engineering of joint replacement. The second part of the book reviews specific materials, bearing surfaces and bone cements, in addition to the failure mechanisms and lifetime prediction of joints. It also discusses the biological environment and interaction of replacement joints.